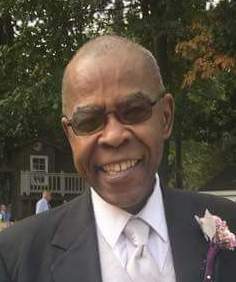 Charles “Pete” E. Long, 65, of Fremont, OH went home to be with his Lord on Tuesday, January 22, 2019 at ProMedica Memorial Hospital, surrounded by his loving family and friends. He was born October 21, 1953 in Union, SC, the son of Sam and Idella (Foster) Long. He was a 1973 graduate of Vanguard and Fremont Ross High School. Pete worked at Eveready Battery for twenty-five years, Scandura in Port Clinton for several years, and H.J. Heinz for the past sixteen years where he was still employed. Pete was a diehard and loyal Cleveland Browns fan. He was known as the “Rib Man” for his famous fall off the bone ribs. Pete loved his blue truck and scratch off tickets. He had a genuine smile that you couldn’t forget. He enjoyed riding his Goldwing motorcycle. He was a former member/president of Fremont Nightriders Motorcycle Club. He cherished his daughters and grandchildren. Pete is survived by his children, Angela Long and Charlonda Long both of Fremont, OH; grandchildren, Kiara Johnson, Michaela Stubbs, Breyari Nason, LaBronze Barnett and Paris Cooks; great grandson, Jaxson Davis; former wife of forty years, Jewel Long Harkness, Fremont, OH; mother-in-law, Ethel Simms, Fremont, OH; special nephew, James “June Bug” Lemley, Wooster, OH and a host of devoted nieces and nephews. He is now reunited with his parents, brothers, Sam, David and Willie F. Long; sisters, Alicesteen “Teenie” Goodman and Shirley “Tot” Lemley. The family would like to invite family and friends to wear any Cleveland Browns apparel and/or accessories in honor of Pete. Visitation: Sunday from 2 to 6 p.m. at Wonderly Horvath Hanes Funeral Home and Crematory, 425 E State St., Fremont, OH. Service: Monday, January 28, 2019 11:00 am at Greater St. James Church, with one hour of visitation prior to the service at church, 629 N. Sixth St., Fremont, OH. Minister Shawn Simms will officiate. so sorry for your loss londa , angela and all the grandchildren my prayers are with you all . Angie, I will never forget times spent at your house and getting to know your father. He was a hard worker and good provider. I wish you, Londa, Momma Jewel and family peace that passes all understanding. Know that I love you all during this time of bereavement. Carlos & Linda Romero & Fam. We are so sorry for your loss Londa, Angie, and Family. You are all in our thoughts and prayers. May God give you strength through this difficult time. We will never forget that always smiling face.. He was one of a kind.. Rest In Peace now “Pete”. I went to school with Peter, he was a great friend and you could be sure he’d have you laughing, I can remember he told me one day in Mr Sprunks math class, that he smoked pot because it made him smart…only Peter. R.I.P dear friend!! Linda I am so very sorry for your loss. May you find comfort in your memories and fun times spent with your dad. Hugs and prayers my friend to you and your family. My heart is heavy dealing with yet another death in our family but I know that Uncle Pete is happy being with his parents and siblings again. To our family, know that he is at peace and is pain free. What we all have to do is pray for each other, love one another and depend on no one but God. You are all in my thoughts. Pete was a wonderful man! Angela and Londa my deepest condolences to u n ur family. I know how much you ladies loved ur father. Always right there for him every last minute. I hope that you all find love and comfort with the Lord. R.I.P. Pete. Fly high with the angels above. Condolences to family and friends for the loss of your loved one, Pete. So many people have shared stories about his kindness and great sense of humor. He was universally liked and will be greatly missed. Heartfelt condolences and prayers to all of Peters family. I’ve known him since high school,but had not seen him since Larrys funeral. I’m thankful to God that he is at peace and pain free. Now he is truly living the good life,which he so deserved. His beautiful smile will always be remembered. The world has lost a good heart but,look at what Heaven has gained! Praying that God gives you all the strength needed during this difficult time! Cherish all those wonderful memories, and keep him close in your heart. My deepest sympathy. Sorry seems so inadequate to express the sorrow for the loss of your loved one, Pete. Know that others share your sadness and hope that you can find comfort in happy memories. Thank you for sharing this beautiful memorial tribute with everyone. With deepest respect and sympathy. My sincere condolences go out to all who knew and loved Pete, particularly Angie and Londa. I remember Pete growing up on the east side. His smile was contagious and I remember him riding his motorcycle through town with who I thought was one of the most beautiful young ladies in Fremont…Julie! Godspeed to his entire family and many friends! Even for the believers in Christ, and what He obtained for us at Calvary, the temporary separation that death brings to a family can be challenging to deal with because the “departed” is such a part of who we are. Whether it was the “loss” of my two children, or my parents and grandparents, or friends from my class of “66” at Ross, my husband Tom and I like to keep in mind that the person just got “promoted.” At these times, I hold dear to my heart the promise from Jesus in 1Thessalonians 4:13-18. Then, I know that everything will be alright. Prayers for, and blessings on the family.